Rather than asking, “Should we use Asana or Slack?” think about “How can I use Asana and Slack together?” Slack is real-time messaging and simplified communication for teams, while Asana helps teams coordinate, manage, and track their projects and tasks so they can collaborate more effectively. Asana does have team communication features as well. With the Asana for Slack integration, you can turn conversations and ideas discussed in Slack into actionable, trackable work in Asana. Or, ensure what seems like a quick question (but isn’t) becomes a task with an assignee and due date. There are several ways to turn Slack messages into trackable, actionable Asana tasks so your promise to “get that report done tomorrow” doesn’t get lost in Slack. Take action on tasks right from notifications or an Asana link. You can see the task details, complete the task, change the assignee and/or due date, add it to a project, or open it in Asana. Get notifications on your work happening in Asana. You can get notifications for tasks assigned to you and for tasks you’re following. Link a specific Asana project to a Slack channel. The channel will receive notifications when updates and changes are made to the project. 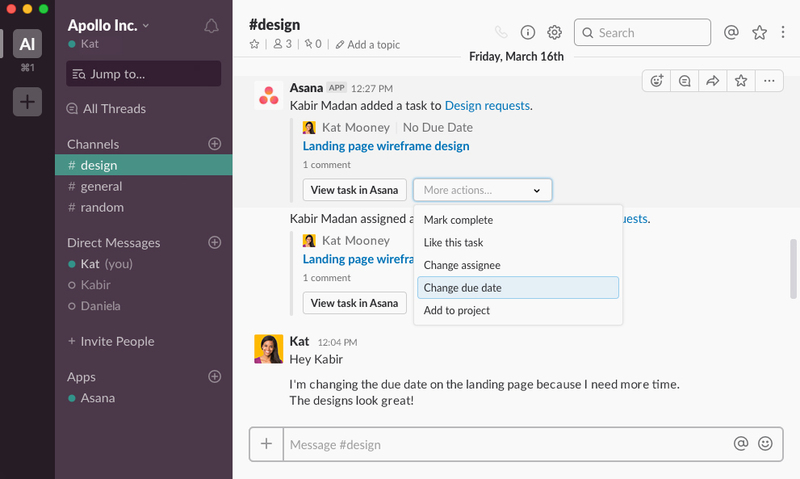 Create a new task in Asana without leaving Slack by typing /asana create into the message box. Turn a Slack message into a task in Asana or add the message to an existing task by using the Actions button. Sign up for a Slack account and an Asana account to get started. What is Slack? 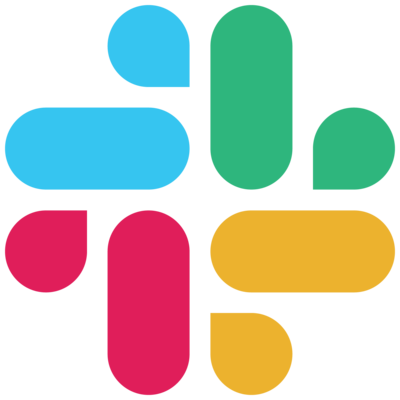 Slack is real-time messaging, archiving and search for teams. Where do I go for support? Visit the Asana Guide.